This Handcrafted by time served craftspeople and has a smooth finish and rounded edges throughout. 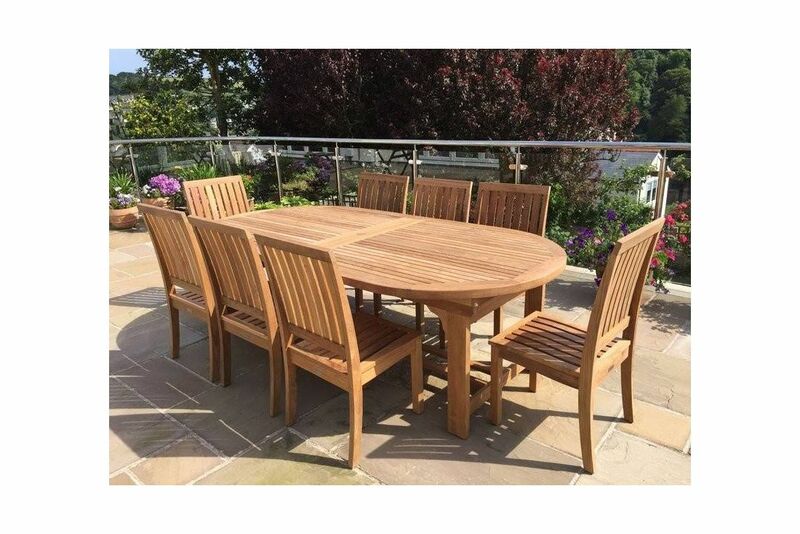 the most enduring and hard wearing timber for use in outdoor furniture. A sturdy bottom stretcher provides added support for the leg unit with the legs themselves being thick construction with solid plastic caps on the feet. The inset position of the leg structure offers plenty of room for those dining around the table.